Posted 5:06 pm by Rena Anya Devéza & filed under Alexander Technique, Alexander Technique Teacher Training. To balance out the challenge of reading FM Alexander’s Man’s Supreme Inheritance for Alexander Technique teacher training, I have started reading, along with it, some guilty pleasure fluffy stuff. The novel starts out with a citation, unattributed: “Un jour, j’irai vivre en théorie, parce qu’en théorie tout se passe bien…” “One day, I will live in theory, because in theory, everything goes well.” This citation really got me to thinking…that maybe one day, in theory, everything in Alexander Technique teacher training will go smoothly and well. And then I got to thinking that I can choose to decide to live in theory now. Why is training such a roller coaster ride? Rhetorical question right? One week I feel that everything is going great, and then bang I am slammed by feeling so disheartened. A friend, who has recently certified as an Alex Tech teacher, provided me with a touchstone phrase that I believe will help me through…”you have to trust in the process.” So true! Since I do trust in the process I am deciding to live in theory immediately…not in the future. I will consider that training is always going smoothly and well…because it is working! 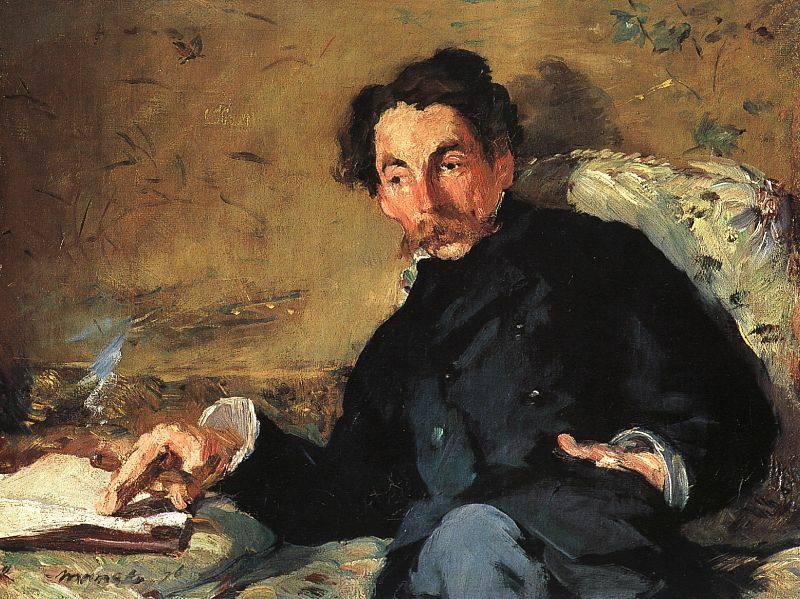 I just started re-reading Mallarmé as well…counterbalance to fluff? Hey, it was just the anniversary of his birth in Paris…18 March 1842. Good moment to dip in again. Will reading some symbolist poetry affect how I view my training? For sure I’m going to re-read Un coup de dés jamais n’abolira le hasard — A role of the dice will never abolish chance.